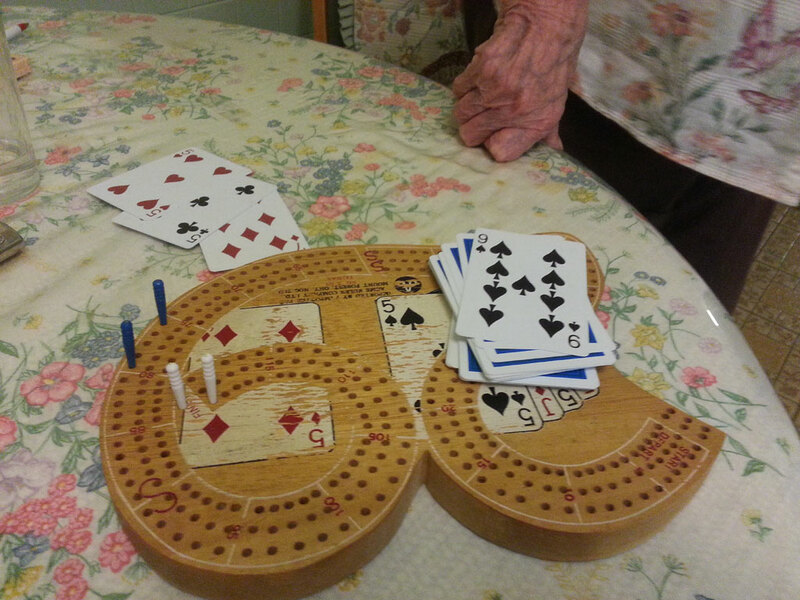 Ruby and I have been playing cribbage together since early in 2007. Usually she wins – lots of times I get skunked, and now and again she’s double-skunked me. I don’t know how many games we’ve played in all that time, but I know how many times I’ve beaten her. One of those two times was tonight. And tonight I. Skunked. Ruby. If it weren’t a Sunday, I’d have bought beer by now, to celebrate. A whole case of beer. 2 Responses to I SKUNKED THE LANDLADY!! WOOHOO! That is definitely a cause for celebration. Heh. I did the happy dance, and crowed very loudly. Ruby deflated me instantly by not giving a damn.